Brain haemorrhage. 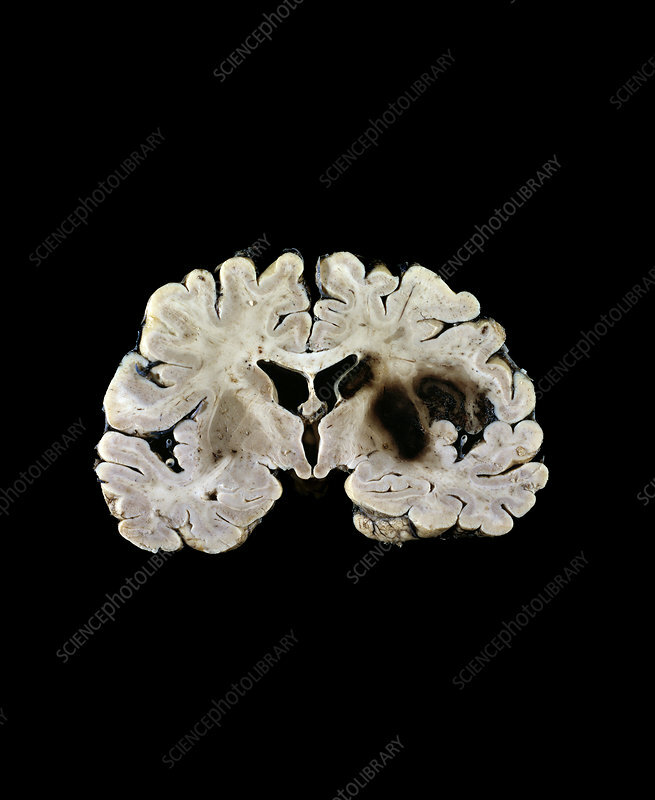 Coronal section through a gross clinical specimen of brain tissue, showing an area of cerebral haemorrhage (bleeding, black, centre right). This is termed a cerebrovascular accident (CVA) or stroke. Strokes commonly occur in elderly patients, and are a major cause of death.